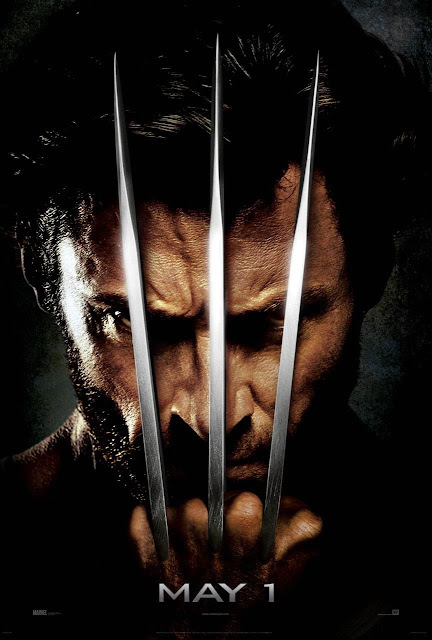 Chrichton's World: Review X-Men Origins: Wolverine (2009): Oh yes, it is heavily flawed and screws up a lot of comic book and movie verse but dammit it's incredible fun! Review X-Men Origins: Wolverine (2009): Oh yes, it is heavily flawed and screws up a lot of comic book and movie verse but dammit it's incredible fun! X-Men Origins: Wolverine changes up a lot of what is established in the comic books and the previous films. Which has outraged many fans. Understandable of course. But if you ask me a little misplaced because I can't recall the same outrage for X-Men: The Last Stand. That was one huge travesty. So bad and infuriating that till date I can't find the calmness to write a review for it. In any case X-Men Origins: Wolverine despite it's many flaws is a far superior film to that one. Mostly this is because the spirit of Wolverine is still captured nicely by Hugh Jackman. The way he fights and slices and dices is a feast for the eyes. No matter what you say he is the best incarnation of Wolverine on the screen. Jackman really makes the difference and actually let's you forget the multiple mistakes that have been made. I agree that this film will give you a major headache if you think about the continuity, how it fits in to the film franchise and why some characterizations are different. My advice, don't worry about that too much. The same goes for Victor Creed and James Logan being brothers. What were they thinking? It does not really matter if they are related or not since it is one of those plot devices to probably try to explain that their abilities and powers are almost very similar. A poor attempt. But maybe it made more sense for the director to incorporate it. I decided to not get bothered by it too much since I was blown away by the spectacular action and mayhem. It is easily one of the reasons why I kept drawn to it. There was an energy to it that did not held back and for the most part in this aspect did stay true to how Wolverine would fight. I know that some get sick by the thought of the character Deadpool being butchered beyond recognition. Especially his ability for comic relief and talking a lot. To be honest I never knew that much about him and only seen him pass in the comics once or twice. For me it was not that big of a deal. Besides one could argue that (if you stick around for the after credit scene) that all of what has happened to him is one big joke. And isn't that something right up his alley? At first I thought it was nice to have Gambit included. He is one of my favourites in the comic books and the cartoon and wanted to see how he would be portrayed on film. Not quite sure what to make of it that he was there in the first place since his part in this film could have easily been skipped on or been played by any other character. Still the little they did show was good enough and it makes me look forward to the Gambit movie they are making. I honestly think that this film offers a lot of what I would expect in a super hero movie. For the most part it stays true to the spirit of Wolverine and how he would act in the comic books. Naturally it would have made me happier had they followed the true origins and not changed the stories that much. Despite these changes X-Men Origins: Wolverine still packs a punch and is incredible fun opposed to the sequel The Wolverine and the dreadful X-Men: The Last Stand. I don't know what went wrong with The Wolverine but it was dull, pointless and became a parody of one the most exciting tales in the Wolverine comic books. They really messed up the story lines in that one and yet many seem to think it is better than Origins. Yeah right, go figure!